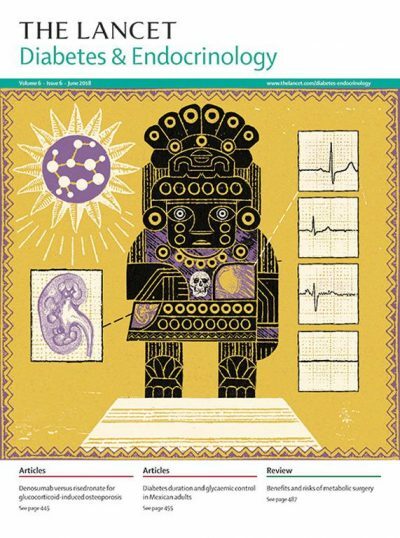 In this month’s prestigious British Medical Journal, The Lancet, has given considerable coverage in its June issue to the fact of the dangerous upsurge for both young and old of the variety of Diabetes which is becoming one of the largest global health crises of the 21st century. 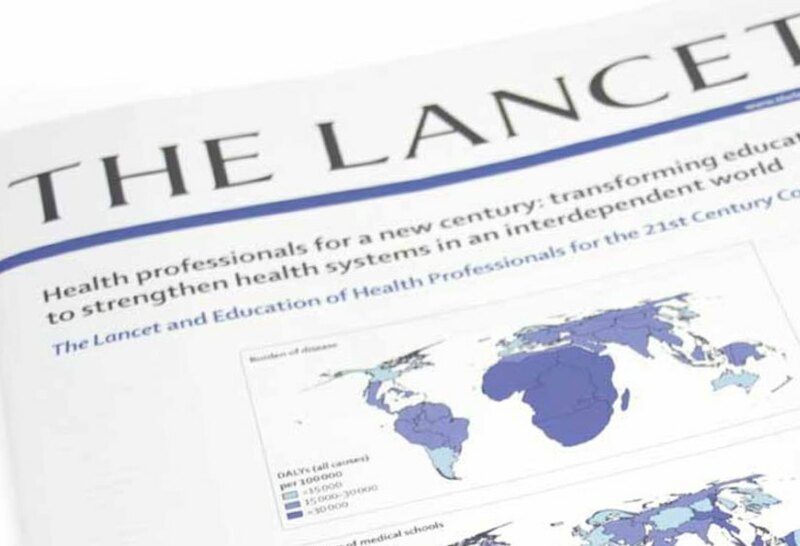 The Lancet is the oldest medical journal in the world, founded in 1823. In short, the etymology of the name of the journal was intended to convey excellence in medical research and to provide the “light of wisdom”. Once thought of as a disease that only affected older people, diabetes is now being diagnosed increasingly in people under the age of 20, the vast implications of which have yet to be fully understood nor appreciated. Alarming rising rates have been recorded in the first decade of the 21st century, not only in America and Europe, but particularly the Middle East and Africa, of diabetes which has been shocking to say the least. Asian countries, India and China show similar trends. The most influential factor in the increase in diabetes, in the 5 to 15 age group, is junk food. More and more young people are developing the early stages of diabetes and those that are diagnosed and some even hospitalised due to further complications of the disease, such as kidney disease and teenagers incredibly having heart attacks, costs a country’s health system considerably and in addition in terms of lost wages and productivity where adults are concerned. A main goal is to reduce the rates of hospitalisation, and help those diagnosed to better manage their care, with simpler smaller insulin delivery systems that take some of the inevitable embarrassment and stigma away from the disease, so improving children and the publics knowledge of diabetes is a priority. The bottom line, especially for our children and grandchildren, is to limit or eradicate eating junk foods. Such so called food is calorie-dense and nutrient poor. In recent decades, junk food, essentially fast food and convenience food consumption in America alone increased dramatically, with more than 25 percent of all people now consuming predominantly junk food diets. This trend has occurred concurrently with rising epidemics of numerous chronic diseases and accounts for a long list of reasons why eating junk food is bad. It directly contributes to the on set of diabetes; full stop! Also, junk food plays a major role in the obesity epidemic. By the year 2050, the rate of obesity in America is expected to reach 45 percent, according to researchers at Harvard University. Children who eat fast food as a regular part of their diets consume more fat, carbohydrates and processed sugar, with less fibre, than those who do not eat fast food regularly. Junk food in these children’s diets accounts for 187 extra calories per day, leading to 6 additional pounds of weight gain per year. Obesity increases the risk of cardiovascular disease, diabetes and many other chronic health conditions. Such fast foods may be connected to depression and therefore the increase in Doctors over prescribing opioids, the dangers of which are now only too well known. In contrast, diets that had vegetables, whole grains and lactose, a sugar that comes from milk and other dairy products, had protective effects against developing depression. There are increased risks of becoming diabetic for adolescents and young adults due a lack of consideration by us parents in the overall lifestyle plan we should, as responsible adults, impose on our children. The easy fix of allowing one’s child to spend way too much time on their iPhones, on video games and bingeing on McDonalds et al. By our accepting that our children live what is in effect a sedentary lifestyle is also a major contributor to the onset of diabetes. In a sense advances in technology and new gadgets make children less physically active, less sportive than bygone generations and thus nature’s balance is ‘thrown off’ because of the easy and quick nature of life, our acceptance that our child ‘keeps quiet’ makes our life as parents easier. So we must share the bulk of the blame for the onset of diabetes in children. We consciously allow their addiction to their ‘hand helds’ whilst also acquiescing to their requests for junk foods from pizzas to burgers usually accompanied by a variety of sugary drinks that come almost free with such so called meals. And, finally, we are helping increase the insistence of attention-deficit/hyperactivity disorder (ADHD) in our children, which was very recently reiterated in an exhaustive study published in the Journal of Clinical Psychiatry on May 23, 2018. The fact is the prevalence of a variety of different types of diabetes is increasing worldwide. We must take corrective action for future generations before its too late by reintroducing in our family value rules the concept of discipline, rationing our children’s use of their electronic gadgetry whilst encouraging outside or inside sporting activities particularly team sports.